Kartik's truth comes forth Naksh and Keerti and they marks their bang on entry in Goenka house. Naksh raises hand over Kartik and lashes him for taking advantage of their trust and taking away their son. Naira couldn't bear this and runs with Krish to her room, Keerti, Naksh and all family goes after Naira. Here Keerti pleads Naira to return her son Krish to her but Naira doesn't respond, Naksh and Kartik are tensed. Naksh and Kartik thus breaks the door to find that Naira is lying unconscious. 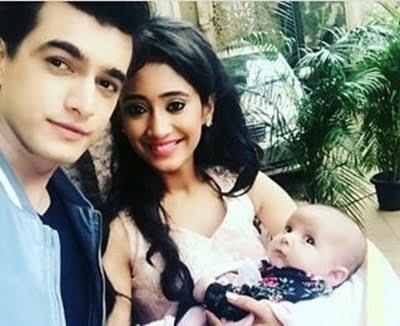 Keerti takes her baby and Kartik rushes Naira to hospital and panics as Naira's condition is getting critical.